Another Example of Greed in the Publishing Industry! Editing Existing Book vs. New Edition? I need to edit my book. It’s a print on demand title. Should I just edit the current book or should I release a second edition? What’s cheapest and what are the benefits and drawbacks of each option? After a new book is released, most authors spend a lot of time promoting their new baby…initially anyway. 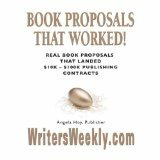 (Yes, some authors get tired of promotion if they don’t have a step-by-step guide to assist them.) In their promotional activities, they will usually include specific links to Amazon.com, BarnesandNoble.com, their publisher’s website, etc. If an author publishes a new edition under a new ISBN, the book will receive all new links. So, those old links that the author posted on social media, in comments under news articles, and more will all lead to the old edition of the book. While many of BookLocker’s competitors try to convince their authors to publish a brand new edition (so they can charge their inflated fees all over again), and while some actually force authors to do so (by refusing to allow extensive edits, or refusing to process brand new files), we recommend authors simply pay our post-print-proof-changes fee (which is only $199), and keep the same ISBN. We can even add “Second Edition” to the title, and can change the publication date to a more current one. A new cover can be used as well, of course. The printer will simply swap out the old files for the new and, voila! All new books printed will be the new edition. It’s really simple, and much faster than publishing a brand new book. Since the book has the same ISBN, all the old links will still lead to the author’s new book. The author’s previous promotional activities can still generate book sales and readers will be able to buy copies of the most recent edition of the book. Again, some of the “other guys” don’t allow authors to do this because they’d rather force an author to pay upwards of $1,000 or more to publish a brand new book rather than letting them simply submit new files, while keeping their old ISBN and links. Unfortunately, there’s a ton of greed in the industry. One drawback of this method is the dreaded “used book” listing. If a website really does have a “used” book for sale (many “used” books being sold by Amazon’s resellers don’t actually exist), a customer ordering your book from Amazon or elsewhere may unwittingly end up with the previous edition. Likewise, even if Amazon has the new cover and publication date listed on their site, if they have a copy of the previous edition on their shelves, they will ship that to the buying customer. One way to circumvent this is to contact Amazon, ask how many copies they really have in their inventory, and buy those from Amazon. If you tell the Amazon employee why you’re asking, they’ll probably be very happy to help you buy out their current inventory. For print on demand books, that usually means just a handful of copies, often even less than 5 copies. And, remember, just because Amazon’s site says a book is “in stock” doesn’t necessarily mean it is. They may have no copies at all. Read THIS for more info. Don’t Give Your Baby (your book!) to A Naughty Publisher!